Mentors are important because they offer a unique perspective gained only through experience. They’ve been there, they’ve seen it, and they know what it takes to win. Now they are tasked with passing those skills on to you. Good mentors are similar to parents, once you’re under their wing it becomes their personal mission to help you succeed. And, when you succeed they feel like they have succeeded. 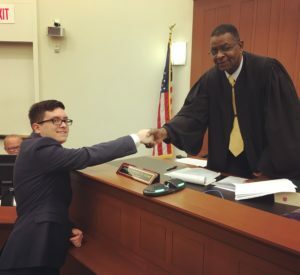 That feeling you get when your mentee gets sworn in to practice law. Of the young professionals I frequently talk to, one of the key obstacles I observe between them and success is the lack of a quality mentor. You can learn all of the right things, do all of the hard work, but, sometimes, if you don’t know the right people, you’re going to have trouble getting off the ground. The problem is, when you’re just beginning to grow your network, finding high-value mentors can be challenging. That’s why I broke down my proven methods for acquiring mentors. And, if you commit to following these strategies, I guarantee you will be courting your first high-value mentors in no time. Choose Your Mentors Wisely. Not every successful person should be your mentor. Mentors are like any personal relationship, not everyone is suited for each other. The first step in choosing a mentor is identifying people that are living the life you want to live. Study Potential Mentors. When meeting a potential mentor, know more about them than they know about themselves. Have they written a book? Read it. Given recorded speeches? Watch them. You need to educate yourself on whatever it is your mentor has been up to. This has multiple benefits, you’ll gain a deeper understanding of the person, you’ll have a better idea if they are likely to be a good fit, and they will appreciate your sincere interest in them. Be Visible. If you want high-value mentors it helps to be in their line of sight. However, getting in the room with high-value mentors can be trickier than it sounds. This is where your personal network comes in handy (your network truly is your net worth.) The larger your network the more likely it is someone can introduce you to a potential mentor. You can learn my secrets to networking success here. Now, if you’re the kind of person that is sitting and waiting for a high-value mentor to find you, I recommend investing your savings in the lottery as well. Both are equally viable paths to success. Lead with Value. Just like networking, it’s important to always be thinking “how can I provide value to my mentor?” Learning about them, what they do, and their accomplishments is one form of value. Your network is another valuable resource you can provide a mentor. The larger your circle the more likely it is you’ll be able to connect them with a valuable contact when the need arises. Do Something, Do Anything. The last thing a mentor wants to hear is that you’re “thinking about” doing something, or you “have a great idea” but you’re “waiting for the right time.” If you want to establish credibility you need to be doing something now. Even if it’s engaging in the small steps, you need to be actively working on something, making something happen. Target Alumni. These are some of the easiest mentors to court. Alumni come with no-assembly-required personal bonds. You took classes in the same buildings, walked the same streets, cheered for the same team. Use this to your advantage. “I can’t believe they closed Boli’s Pizza, that was our late night spot!,” or “Did you see the quarterback that just committed? Next year is our year!” Best of all, these contacts are the most likely to return your calls and find time in their schedule for you. I’ve gotten face time with high-value mentors with a simple phone call, “Hi, Mr. Swanson. I don’t want to take up too much of your time, but I’m a fellow ECU graduate just starting out and I was hoping I could get 15 minutes to pick your brain?” A week later I’m having coffee and getting career advice from someone with 40 years of experience in my field. Alumni love helping younger graduates, it gives them an opportunity to get nostalgic over the old days while directly contributing to the success of the school’s next generation. Only Ask for Time. It’s your first date, so think twice before pitching them on your big idea or asking for a job. Your job in that moment is to a) listen, and b) ask thoughtful questions that show you’re serious and that you’ve done your homework. As the relationship develops it’s likely they’ll know what you need, and you won’t even have to ask. Respect Their Time. If they were kind enough to put you on their schedule, make sure you don’t waste their time. So, be prepared and don’t overstay your welcome. When the time you’ve asked for has expired, politely say something like “It’s been 20 minutes already, I don’t want to take up your entire day.” If they insist you stay longer, stay longer. However, it’s vitally important not to linger. Some people may be too polite to push you out the door, so look for subtle clues: checking their watch, checking their phone, diverting their attention to something else. 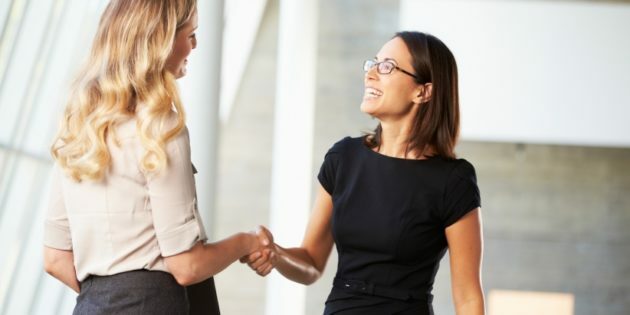 If you pick up on any of these it’s important not to let their discomfort escalate, so try something like: “I know how busy you are, so I can’t tell you how much I appreciate you taking the time to chat with me. I found your insight extremely valuable.” Trust me, they will appreciate you giving them the out without forcing them to ask for it. If this first meeting goes well and you feel good chemistry, it may be appropriate at this point to ask for the mentor relationship directly. However, if you’re unsure about the direct approach, at least make a plan to follow up with them. Offer to Pay. High-value mentors get solicited for advice regularly, so one great way to stand out is to offer to pay the check when getting coffee or lunch. You’re likely to encounter a refusal, but the gesture will not go unnoticed. After the third such meeting, I recommend picking up the check before your mentor has an opportunity. Sure, the mentor may be far more financially secure than you, but it’s the gesture that counts. It’s your way of showing you’re serious and that you value the relationship. Again, this won’t go unnoticed. Don’t Expect an Instant Return. Like networking, acquiring mentors is a long game. This isn’t about getting $1,000 tomorrow, this is about getting a rolodex of priceless friends for life. Friends don’t send you ONE good referral. Friends invite you into their circles, friends offer you executive positions in their companies, friends pick you up from jail. If you make friends first, the fortune will sort itself out. Of all the benefits mentors bring to the table, arguably the most important is helping you identify the things you don’t know. By using their roadmap you’ll be able to cut down on avoidable mistakes and wasted time reinventing the wheel. If anything, the benefits of a good mentor are understated, because it can be difficult to quantify just how much time and heartache was avoided with one piece of sage advice. Remember, it’s not going to fall in your lap. You’re not going to stumble in to a networking event and walk away with a million-dollar contact overnight. You may meet a million dollar contact, but that contact is worthless if you don’t put in the effort to grow that relationship. If you want good mentors you’re going to have to do the work to get them. You have to bring value and consistently build and nurture the relationships. As promised, links to the content discussed in the episode: Khan Academy, iTunes University, Code Academy, and Udemy.